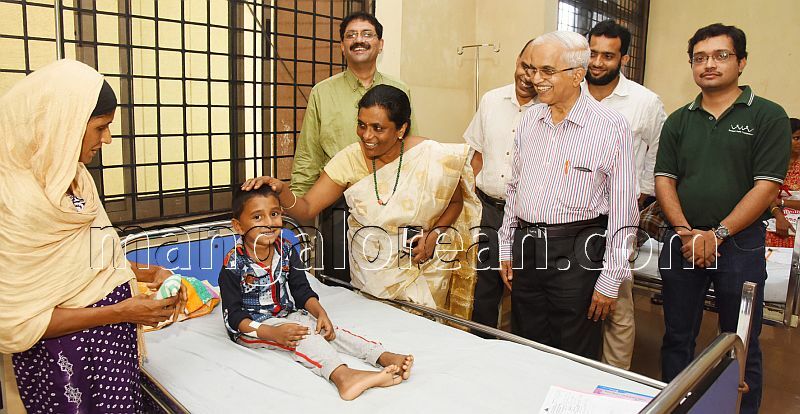 Mangaluru: The stakeholders of day care centre for Haematological disorders in Wenlock’s RAPCC, the first centre under public private partnership (PPP), took a pledge on improving the quality of life of Thalassemics on August 15. 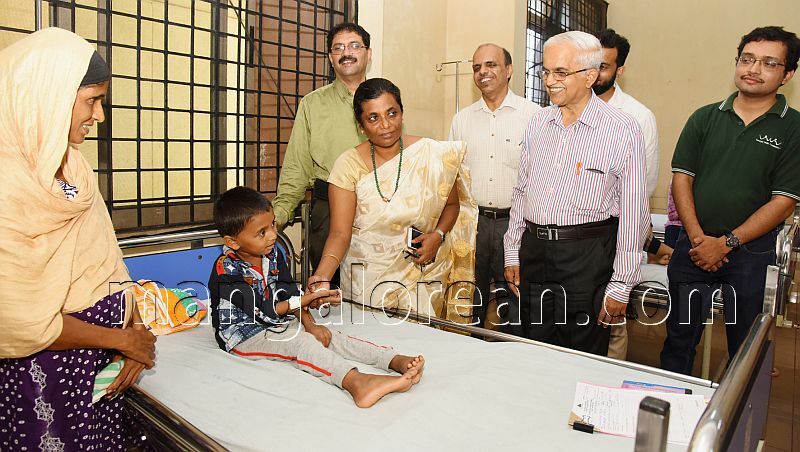 The day care centre with six beds was inaugurated by the oldest Thalassemic patient Vinitha and Wenlock hospital Superintendent and District Surgeon Dr Rajeshwari Devi H R. “Thalassemia is the biggest non-communicable disease (NCD) affecting children. We hope that through the centre patients with Thalassemia will lead a normal life as like other Thalassemics in the USA,’’ stressed Rakesh of Bengaluru based Sankalp India Foundation (SIF). Rakesh informed that the day care centre in RAPCC building is its fourth centre in the state. SIF besides facilitating consultation with international experts, organising HLA’(Human Leukocyte antigen) typing camps, will maintain the medical record of each patient (Thal-care). “The day care centre should become a centre of excellence for clinical management of Thalassemia,” District Early Intervention Officer and Nodal Officer for Hemoglobinopathies Dr U V Shenoy said. Dr Shenoy also thanked Tahseen Khan of Indian Women’s Association (IWA), Kuwait for sponsoring medicines and scholarships to Thalassemics for past seven years. The iron-chelating drugs, folic acid, calcium tablets will be supplied free of cost by IWA, he said. Dr Shenoy also thanked Kalpa Trust and Seva Bharathi for maintaining blood donors registry, supporting parents awareness meetings among others. Earlier Wenlock hospital Superintendent District Surgeon Dr Rajeshwari Devi H R informed that the day care centre will be shifted to a permanent three-storey building being constructed behind RAPCC building. Wenlock hospital Resident Medical Officer (RMO) Dr Julian Saldanha and Paediatrician Dr Balakrishna Rao were also present. District Wenlock hospital’s Regional Transfusion Centre Senior specialist Dr Sarath Kumar Rao J informed that high quality of blood (triple saline-washed) is used during blood transfusions for patients with Thalassemia. Among the three types, the centre is in favour of super-transfusion regimen (advocating above 12 gms of haemoglobin per deciliter). Many Thalassemics rush for blood transfusion when the haemoglobin level is as low as 9 grams per deciliter, rued Rakesh of Bengaluru based Sankalp India Foundation (SIF).